One of the non-essential possessions I still possess is a Withings WiFi Body Scale. I bought it about 18 months ago when I was still being reckless with my money and becoming a little preoccupied with the "quantified self" aesthetic (I'd also bought a smartwatch, which I have since discarded). It's just a set of scales for weighing yourself, but this being the future, it is of course as "smart" as every other previously inanimate object on the market, so that when you stand on it, it shows you other things besides your weight; such as your BMI, heart rate, body fat percentage, current CO2 levels in the air, and other statistics that might make you crap your pants (and so, perhaps, lose a little more weight in the process). Naturally, the scale connects to your smartphone and is accompanied by an app which logs and reports back to you vis à vis your vital statistics. Accompanied by the obligatory porridge breakfast, and bulked up with lentils, food "hauls" like this can last me 2-3 days, and leave no waste at all. 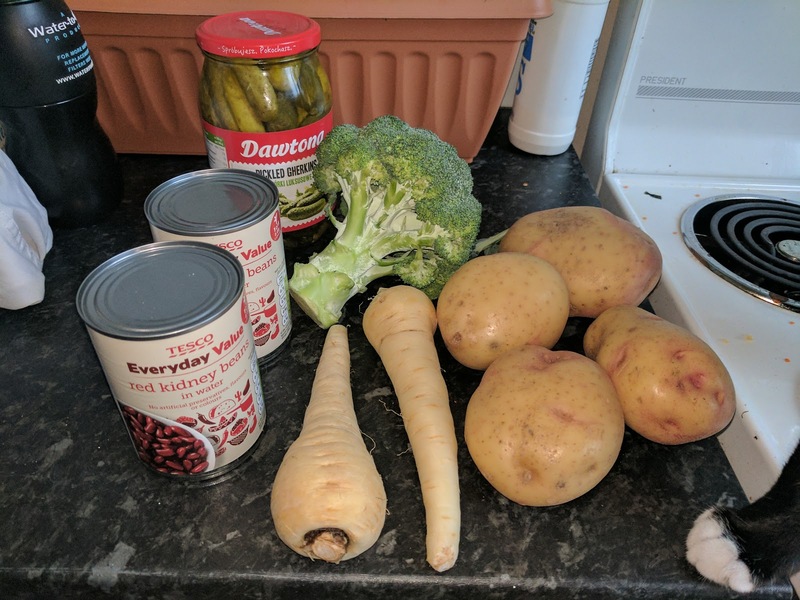 Vegetable scraps can be composted; tins and glass can be recycled. Everything else can be eaten. 2. Since some shops have no zero waste options at all, I have to venture further afield to find acceptable choices. The nearest mini-supermarket to me is extremely poor in this regard. Almost all of its green veg, its bread, and fruit comes wrapped in some plastic or other. The only exception I noticed was pineapples, and man shall not live by pineapples alone. Apart from Bury market, which isn't open at the hours I sometimes need to get my food (neither is Strawberry Gardens) the next nearest source of food is a giant Tesco about ten minutes' walk away. 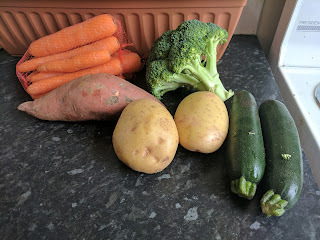 Here was where I bought the potatoes, parsnips, broccoli in the picture above, none of which I could have bought in zero waste form at the Co-op across the road. Thus I am forced, in my pursuit of the zero waste ideal, to walk further. (I don't drive a car, and getting the bus would actually take longer). Walking is good for you. Ta da! Just an afterthought to end on. 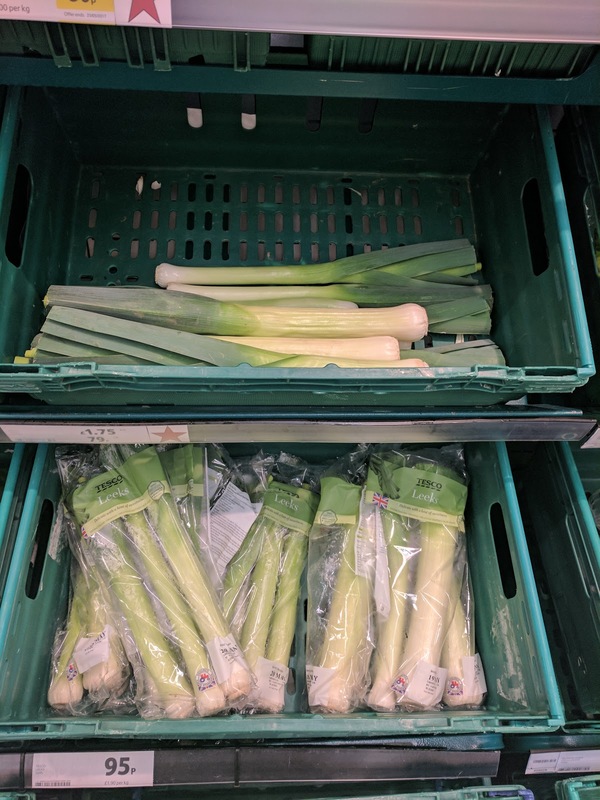 It's interesting how supermarkets stock both packaged and non-packaged versions of identical foods. 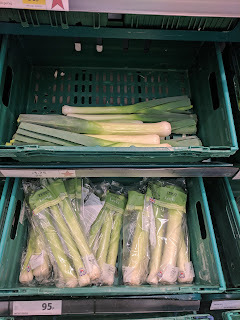 Leeks, carrots, onions, broccoli and parsnips were all available both wrapped in plastic, and not. Why does this happen? Further investigation is required. 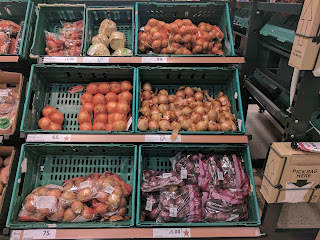 Taking pictures of the food on supermarket shelves, by the way, is a completely normal thing to do. Nobody will give you a funny look if you whip your phone out every 20 seconds to capture a picture of something utterly prosaic, for future reference. Tell them you're doing "research" if they ask. Which they won't, I promise.